In portuguese this fruit also can called "abacaxi"
hahaha, what were the english thinking ? 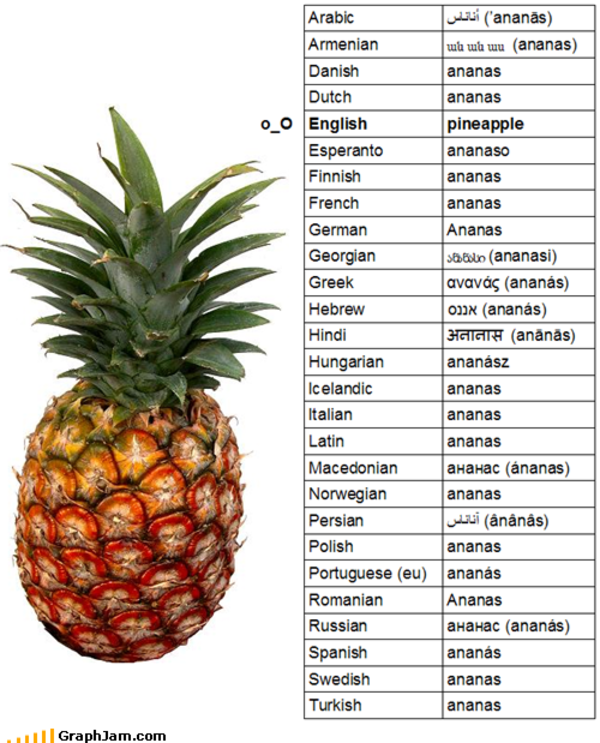 Pineapple is only one of the species of Ananas. As a non-native English speaker this really annoyed me.